Nobody can say that they don’t love a blue skied, sunny day in the bush. The heat beats down on your skin like an African drum and every whispering cool breeze feels like angels blowing gently upon your face. 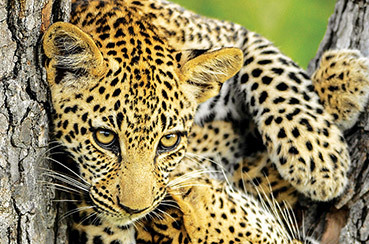 On a trip to Leopard Mountain with some relatives, we were lucky enough to have this same experience. I had been guiding for just under a year and having fallen in love with my new way of life, I had to share with my family what I am lucky enough to experience everyday. We sat on the deck looking over what can only be described as “the world below your feet”. The dry riverbed made a perfect playground for a troop of some active young baboons while their elders lay amongst the shade of Sycamore Figs in the cool beach sand. As we gazed over the majesty surrounding us, I remembered a story which had been told to me by a mentor earlier that year. The area which we over looked was once a flat plain many millions of years ago. These plains would have been grassy veld for hundreds of kilometres ending at the coastline which now lies 100km further away than what it did then. We began to discuss the variety of animal species we would have encountered should we have lived so many years ago, joking about their size and ferocity. Amidst the laughter, there was one animal we all agreed would probably spark as much fear in to the hearts of those fortunate few able to truly experience its grandeur back then as it would today; the Elephant. There have been hundreds of horror stories surrounding these intelligent mammals which only some have just begun to understand and appreciate. Having walked the earth for millions of years with time to evolve complex behavioural patterns and intricate social structures, Elephants are probably more related to humans than we would think. For starters; they have the ability to memorise dozens of routes to and from feeding grounds able to deduce logically which the best route would be for a particular situation, they have a learned behaviour which governs over instinct, and the female is the primary care taker of the herd while at a certain age the dominant bulls will take over the guiding of younger bulls. For us, it was that time of the year when all the elephants get a little crazy, covering large distances daily to consume as much of the rich greenery as possible. 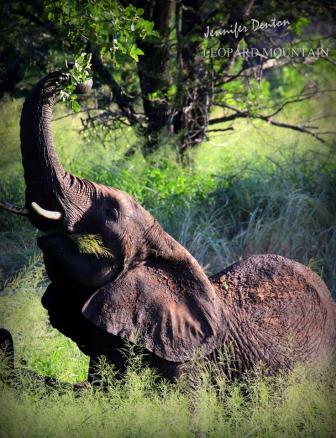 While we do love this time of the year for all the lush vegetation and the frequent viewings of our elephants, we particularly enjoy it because of the two large bulls which rule over the reserve. The Elephant bulls are in musth once again which means butting of heads, twisting of tusks and crashing in to trees around every corner. Every year, elephant bulls come in to a state of heightened aggressiveness; this is called musth and is the stage where the bull is primed to mate. With increased testosterone levels of about eight times more than usual, bull elephants attack one another and other animals in an effort to assert their dominance and court over females. For most people, encountering this phenomenon can be terrifying, while for us out here, this is an exciting experience only occurring once a year. On this particular occasion, the two bulls had met head on at a large dry pan. Testing one another’s strength by pushing over every Marula Tree in the vicinity and sizing each other up by edging forward and back, the bulls take part in a kind of mental challenge taking out their frustrations on inanimate objects… not a good time to get a flat tyre. Animals are governed predominantly by instinct and chemical reactions in the body. While every species and every individual amongst that species has its’ own personality, bad days and good, understanding these magnificent beings could mean the difference between life and death. With a little bit of patience, respect and education, humans could live in harmony with all species realising that animals like Elephants are not “out to get us” but to co-exist on this earth we all call home.